Willesden Triathlon Club – London’s friendliest triathlon club! Welcome to Willesden Triathlon Club – London’s friendliest triathlon club! Why Try Willesden Triathlon Club? Willesden Triathlon Club suits all triathletes from beginners to Ironman competitors. Watch our video to see just why we think our triathlons and aquathlons are some of the best triathlon events in London. 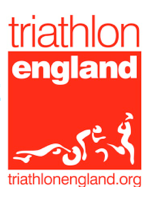 Read all about triathlon, take a look at our blog and find out how to sign up for a Triathlon or Aquathlon. Find out about our regular training sessions and how to become a member. Find out a bit more about our current members on our Member Achievements and Committee pages. Contact us to find out more.